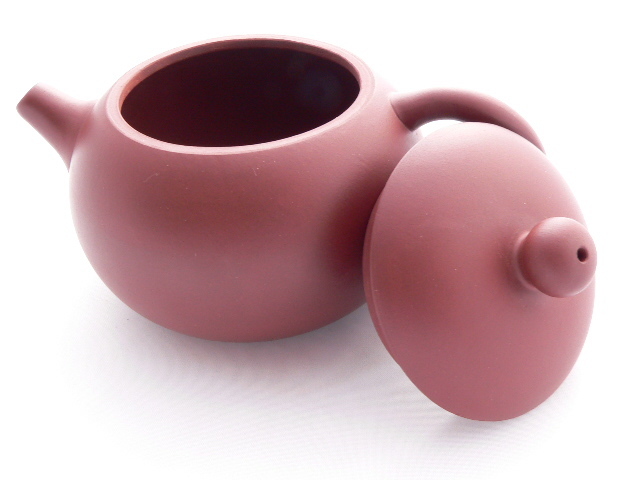 Yixing clay teapots are famous throughout Chinese tea drinking culture due to the porous nature of the clay. Ideally they are suited to brewing oolong, black and pu-erh tea but not white or green teas which prefer glassware or porcelain. The porous structure absorbs the flavours of the tea brewed within, building up over time to enhance the flavour of the tea being brewed! Because this is the aim, these teapots are rinsed with hot water but never washed with soap or detergent. It is rumoured that very old Yixing teapots can be brewed with only boiling water and deliver a cup of tasty tea! Tea enthusiasts may only ever brew one particular tea in a given yixing pot in order to maximise this 'flavour learning' and residual enhancement. We recommed sticking to similar types of tea eg. teas with similar deep and heavy flavour profiles. Please note these teapots should be seasoned before use * and will improve with use! 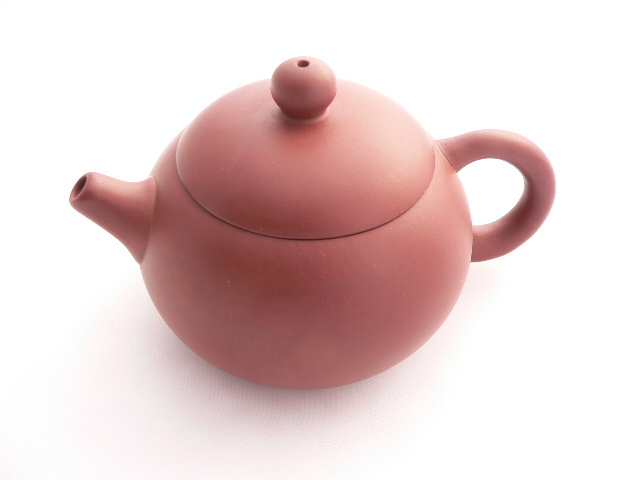 This teapot looks a slightly darker shade of brown in the hand than as pictured and is smooth to the touch being made from softer Ping Ni mixed 'mud clay' than our yellow 'stone clay' Yixing pot. The attractive rounded shape of this teapot is in the classic form of Daoba Xishi 'Concubine with Reverse Handle'. Inside it has a diamond shaped simple 'filter' where the tea exits the spout. 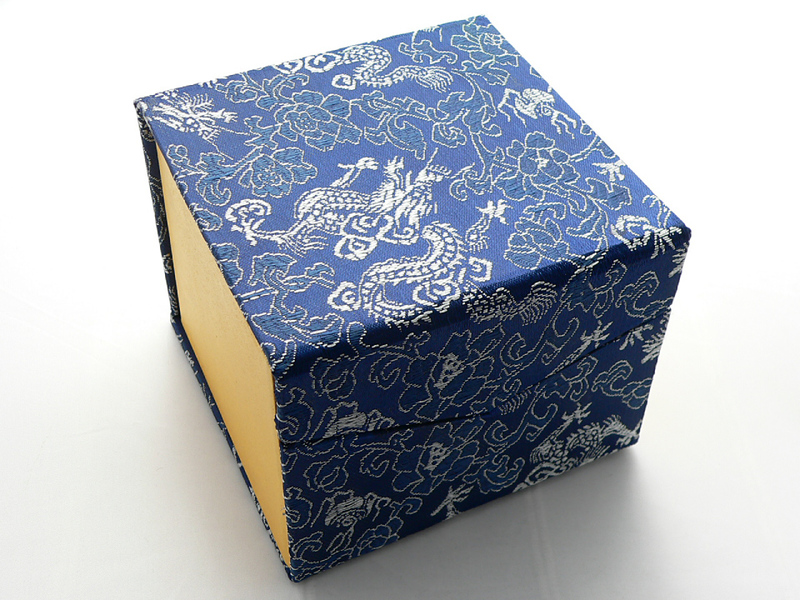 It comes packed in a lovely shiny woven blue giftbox with dragon motifs. Measurements: 9.5cm diameter by 8cm high, 14cm handle to spout / Holds approx 280ml - about one western sized standard mug. This is very large for a Yixing pot! * To season before use - pour hot water in the pot, discard & smell the teapot. 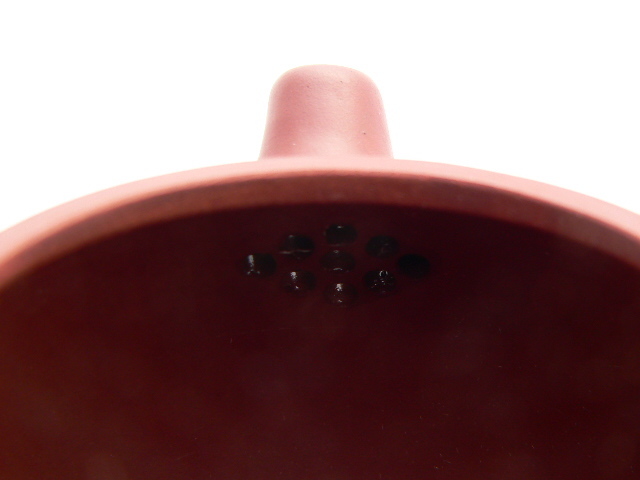 You'll notice the typical earthy smell of a new clay teapot. Next pour cold water in & out of the teapot. Repeat these three steps, hot water, smell & cold water until the earthy smell of the teapot is sufficiently reduced for your taste, three to four times should do. Now infuse a tea of your choice for 10minutes, discard, rinse & then brew as per normal and enjoy!